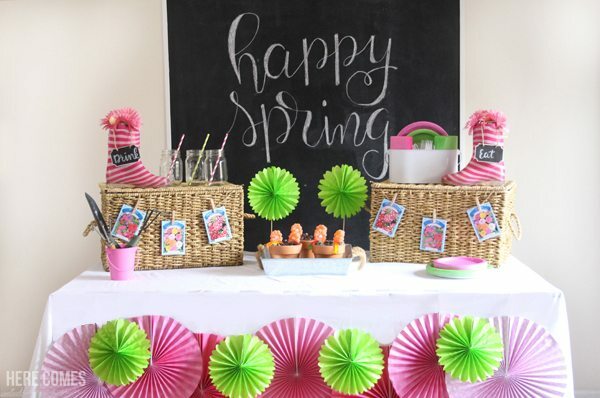 These Spring Garden Party ideas make it easy to put together a fun and festive party. I must confess. 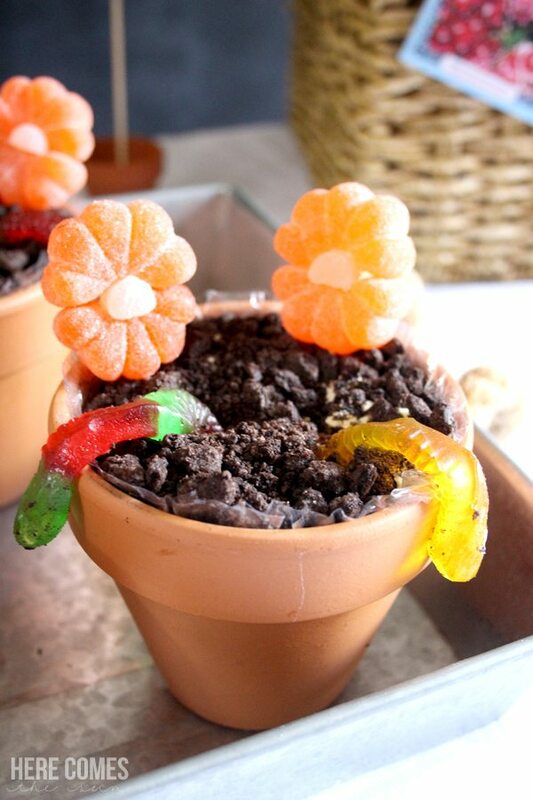 I’ve planned on putting together a garden party every Spring. There’s just something about Spring that puts me in the mood to create bright, beautiful settings. Every year I have these big plans and it just never comes together. Until now. I just love Spring. A time of rebirth, beautiful blossoms, warm weather followed by seriously bitter cold and snow. Yep, Mother Nature sure knows how to tease, right? 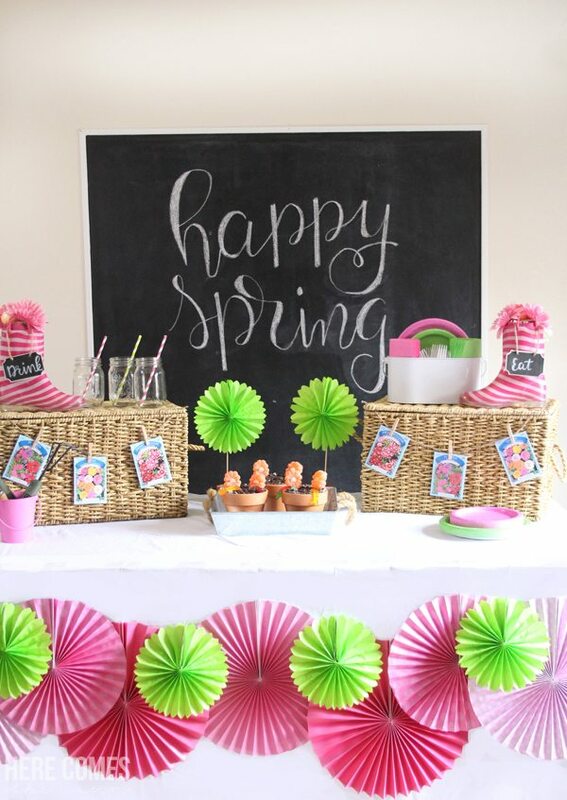 I thought I’d coax out the warm weather by putting together this party and I want to show you some spring garden party ideas. Putting together a party doesn’t have to take a lot of time or be expensive. Before going out to buy any decor for a party, I first shop my house for items that I already have. This saves a LOT of money and I find that I think up new creative ways to use everyday items. Take these wicker baskets, for example. Normally, they are stacked next to my couch as a side table. But they go perfectly with the theme of this party and I was able to use them to add height and interest to the table. 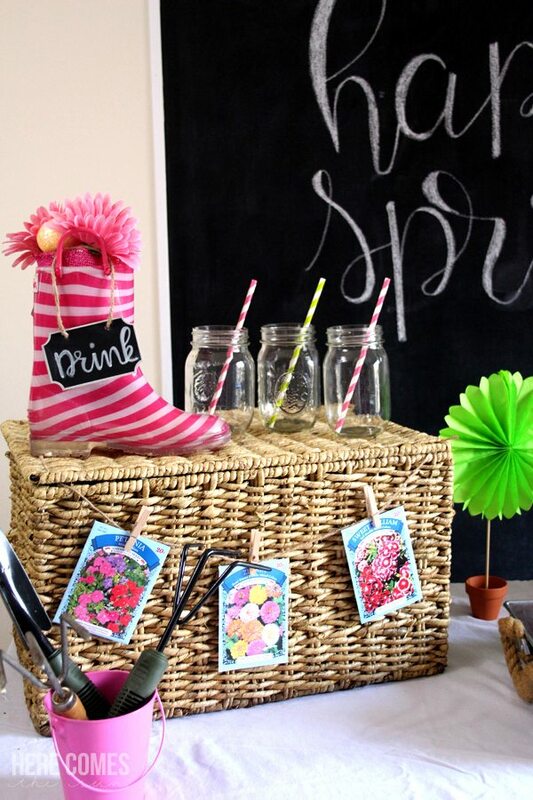 After setting up the wicker baskets, I added other items that I had on hand like cute rainboots, chalkboard labels, a silverware caddy, a galvanized tray, and a few garden supplies. After shopping my house, I still needed a few colorful supplies to finish off my party which I easily found at Walmart. I love the party section at Walmart because there is just so much to choose from at reasonable prices. It’s usually my first stop when I need party supplies. 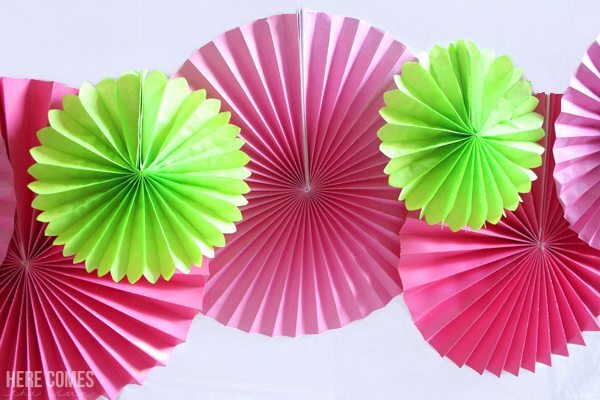 I found these super cute green fans and I knew they would go really well with some pink fans that I already had. 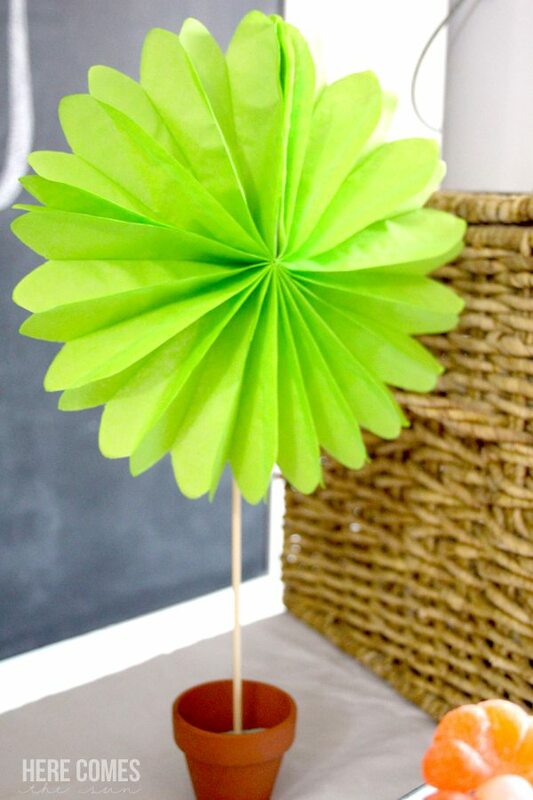 I used the green fans to create flowers by hot gluing a bamboo skewer onto the back of the fan and sticking it into a foam piece placed in a terra cotta pot. I also used the green fans on the front of my table. This is a really easy way to dress up a table. Just pick some colors that coordinate with your party theme. I like using a white table cloth so the colors really pop. I like to use a white bed sheet for a tablecloth or a real table cloth instead of the plastic kind. The reason is because you can’t iron out the wrinkles if you use plastic. That’s just my personal preference but if plastic works better for you, by all means use it. Once I decided on the pink and green color scheme, everything else fell together. I used pink and green plates and napkins, pink flowers, and banners created with seed packets. 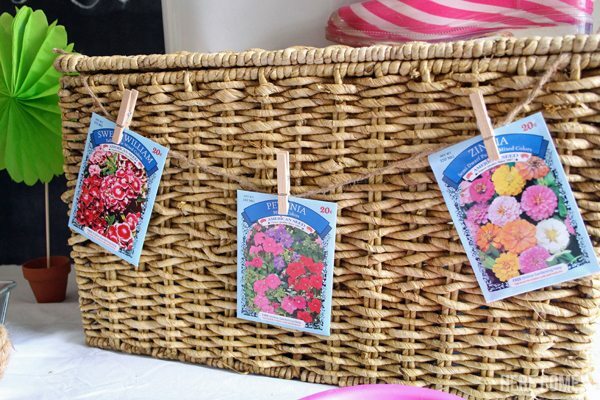 The seed packets can do double duty by acting as decor AND little gifts for your guests. I found all these items at Walmart. These pretty pink flowers came already potted so all I had to do was put them into the rainboots. They fit perfectly and I think this might be one of my favorite party decor items I’ve ever created. The little handles on the boots were the perfect place to hang my chalkboard signs. A party of mine is never complete without mason jars and striped straws! The final thing that really pulls it all together is the backdrop. I have a chalkboard wall that I use as a backdrop for most of my party set ups. If you don’t have a chalkboard wall, you can hang up a sheet, use streamers, balloons or even a roll of wrapping paper to create a custom backdrop. 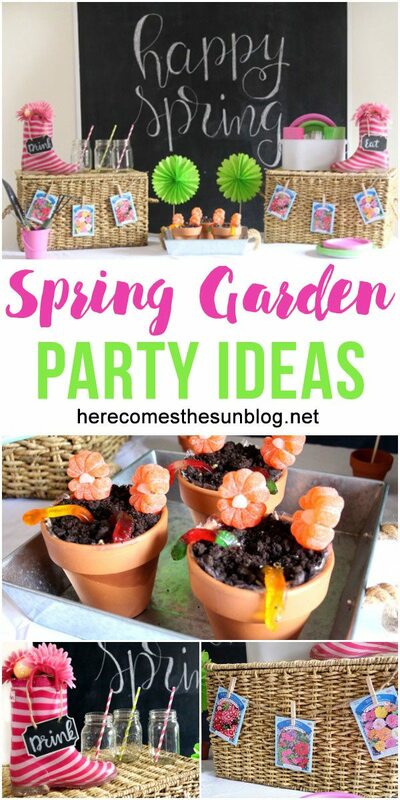 This is a great party idea for kids because you can give them each a seed packet and a pot and you have an instant party activity. And what is a party without desserts? 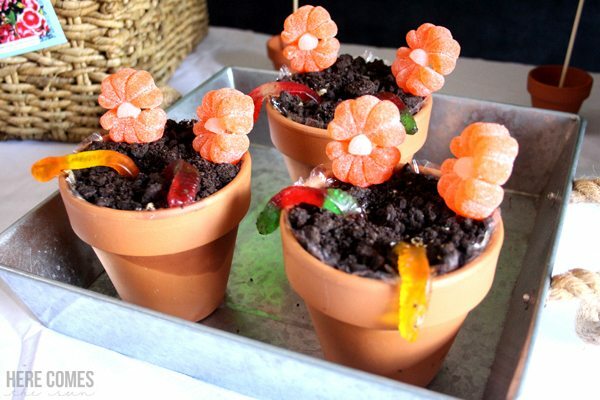 This adorable and delicious dirt cake is the perfect treat for a spring garden party. 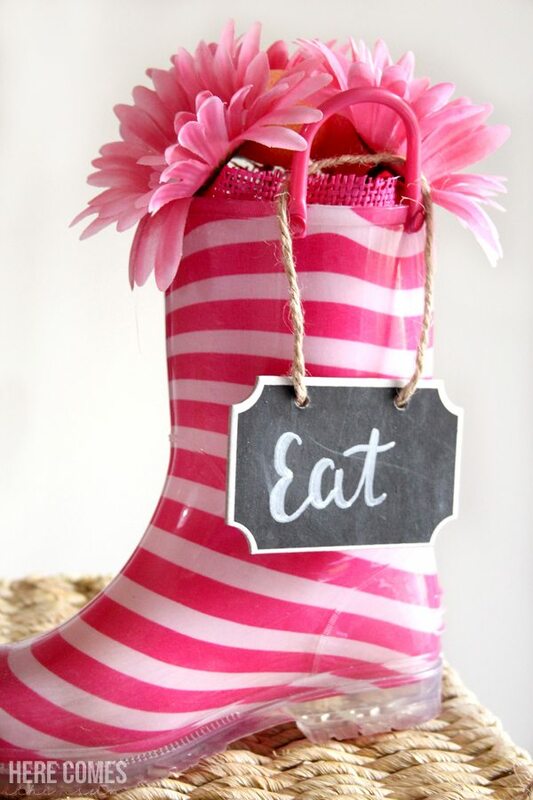 Love it all – especially the seed packets and the boots! Thanks, Amy! It was fun to put together. This is fantastic!! 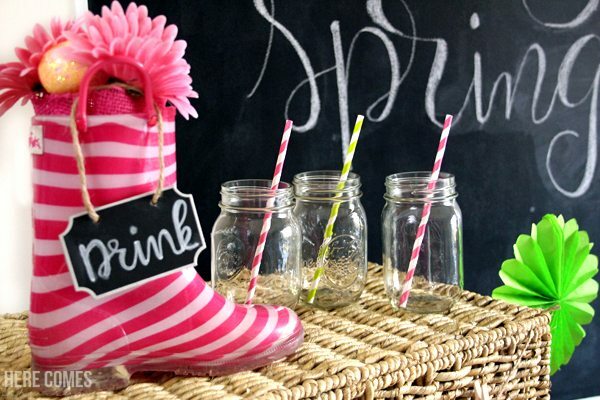 Love all the cute touches like the seed packets and the flowers in the boots! !